If you are a coffee lover, we know what the smell of freshly brewed coffee in the morning means to you. It is a spiritual experience. You won’t want to make any compromises with it. When you have a striking high-tech machine to prepare the coffee for you, it elevates your experience multiple times. So, here are some of the most unique and functional coffee machine designs that would appeal to every coffee lover’s soul. Created by Czech designer Martin Necas, Presovar represents the next generation of designer coffee makers which not only perform to the tee but also add a hint to glamor to the kitchen space. The graphic design features an irregular silhouette that instantly lends it an identity as a work of art. 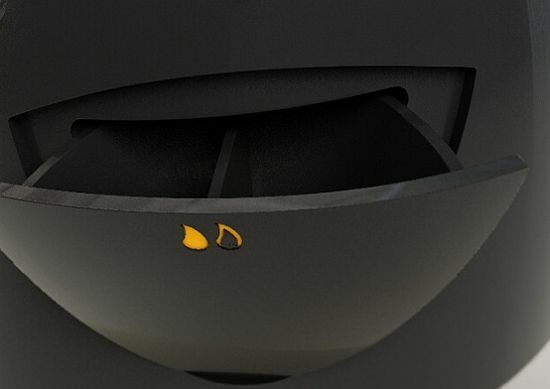 A lid at the top of the coffee maker flips open to reveal a small chamber that can be used to store and warm cups while another chamber offers room for storing coffee beans that are instantly ground to offer you the best and most luxuriant-tasting coffee. 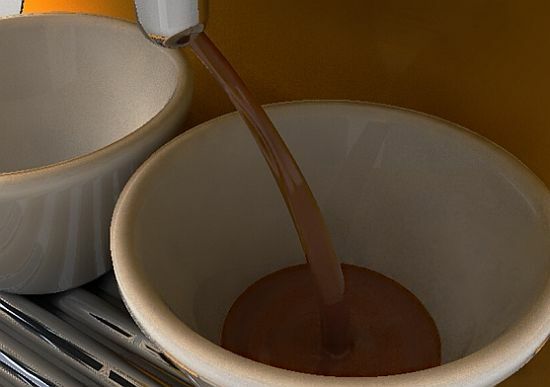 Another built-in chamber can be conveniently pulled out to store milk and water in the coffee maker while directed jets minimize spilling of the prepared coffee while it’s being poured into the cups. With sleek and modern curves, the Presovar coffee maker quickly becomes a much beloved and highly stylized coffee machine that can easily become the pride and joy of any home or office setup. If you are a coffee aficionado, you will surely like to make fresh coffee. Instant coffee never gives that sweet aroma which you love so much. If you make your own coffee, then you must be particular about the type of coffee maker you will use. 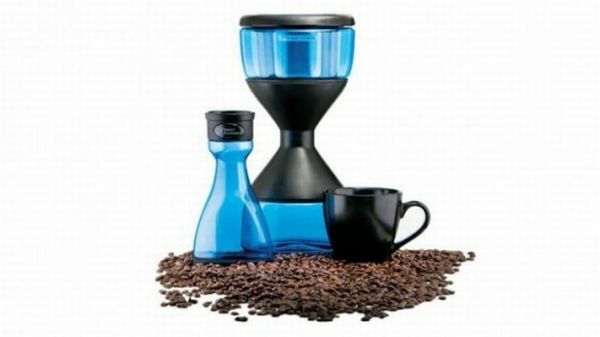 There are various types of coffee makers using different technology, and different steps to make that perfect coffee. Some are simple, where you can make your cuppa on the go, while others need more intimate involvement from your side. Whatever may be your preferred style of making coffee, here is a look at different coffee machines, which can make coffee pretty perfectly. 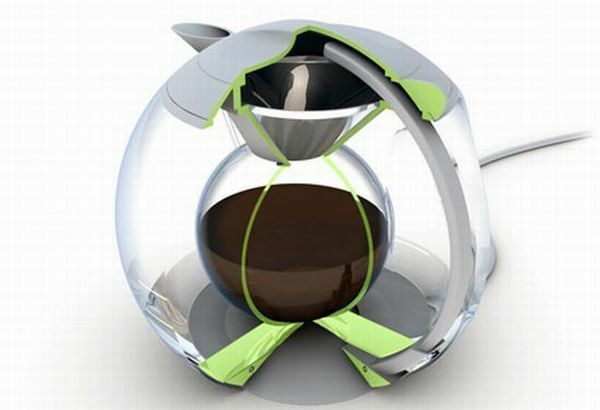 This cool looking simplistic coffee brewing machine is electricity free. You have to just combine coffee beans with water and let them infuse for about 12 hours. Once its brewed, you turn it over, and drain 16 oz of coffee extract. Now add some of it to hot water, and enjoy the perfect taste of coffee. This coffee has lower acid content, as the beans were not heated. It costs $80. 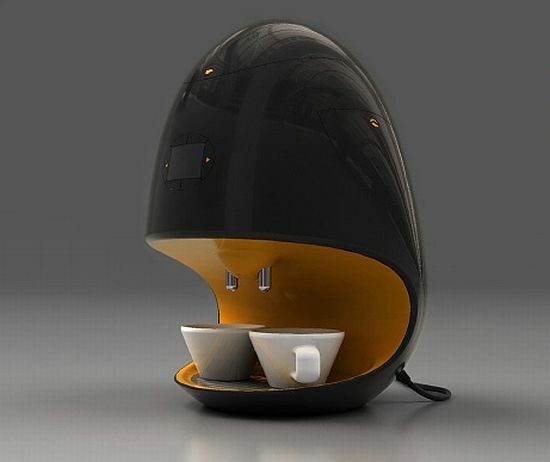 This interesting and cool looking coffee machine, called Cocoon has twin spherical bowls. Water is heated by insulation in the outer pot, and then it reaches filter. Finally ready coffee drips into the inner pot, which is kept warm for a long time because of the space between the two pots act as natural insulator. Perfect technology by Jan Konig, isn’t it? hot coffee, spreading its wonderful aroma all around. This wonderful coffee machine helps you in making coffee very conveniently. It has a built in drawer to store your mugs and beans. It also has a jug to store frothing milk which can be used for making your perfect cappuccino. 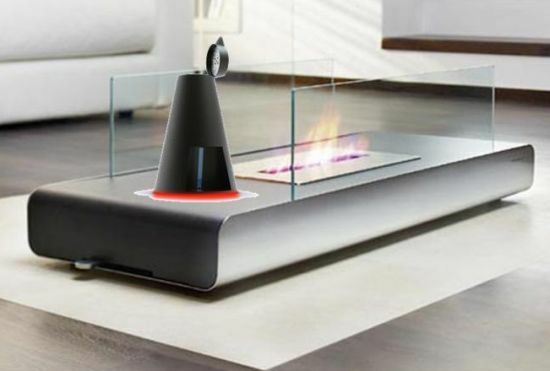 This gravity defying coffee maker makes you feel like you are observing some king of magic. Hot water in clear jar all of a sudden rises up and disappears. It then mixes with the coffee grounds at the ceiling, and the brewed coffee is poured back onto the glass jar. You can now pour out life affirming, aromatic back magic into your cup, and enjoy the taste of life. 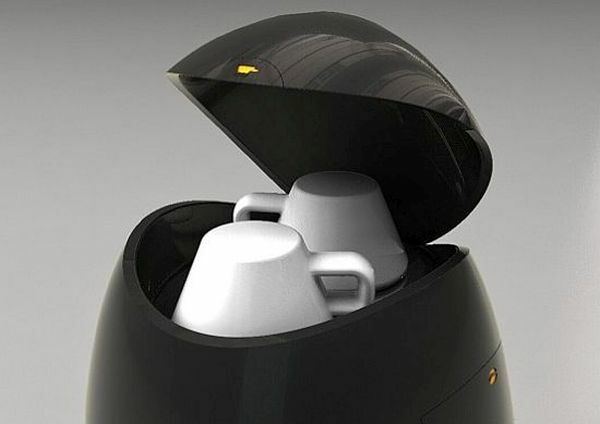 This is the most compact and practical solution to your cup of coffee. This elegant looking machine can brew three cups of coffee at a time. This foldable robot like machine is still a concept, but whenever it enters your kitchen it will improve the aesthetics of your kitchen. If you are a sports geek, and love car racing, you will definitely love Ferrari inspired Brunopasso PD-1 Espresso machine. It is painted in lovely colors similar to a sport car. At present only available in Japan for $850. 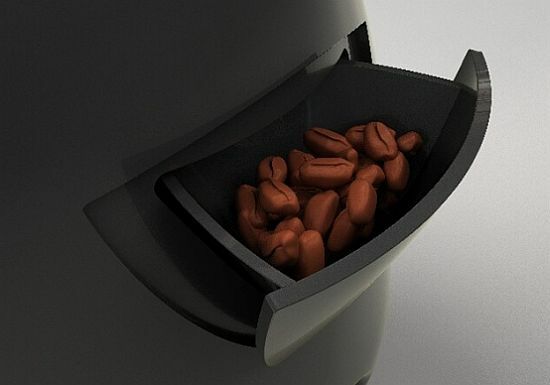 Developed to compete with the Nespresso machines, the “Electric Coffee Machine” by Francis Ken Nakagawa, a product design student at IED (Instituto Europeo di Design) in São Paulo, Brazil, combines both traditional as well as modern elements to enhance your brewing experience. Presenting a design inspired by the traditional coffee pot, the new coffee machine by the Brazilian designer features an exterior finished in black oxide steel, giving it a neat, sleek look. Measuring 32 cm high and 20 cm in diameter from the bottom and 8 cm from the top, the electric coffee machine offers 11cm high open space to insert the cup/mug for brewing your cuppa coffee. Combining functionality, durability and aesthetics in a single appliance, Colombian designer Carolina Amu Trujillo has developed a coffee maker concept that presents a simple and clean design, making it very intuitive to use. Including two upper compartments, one for the water tank and the other for the coffee and coffee filter, the coffee machine features the body finished in aluminum, which not only makes it very lightweight and durable, but very stylish as well. 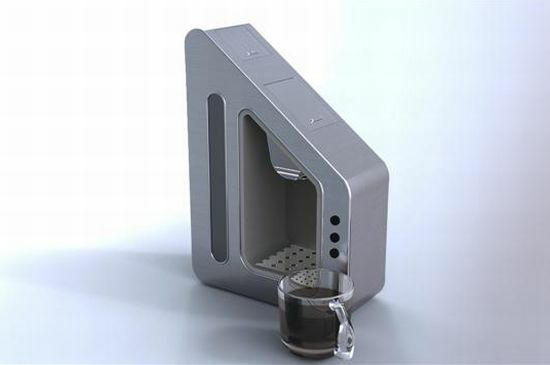 Designed especially for the households wherein functionality and style are one, the coffee machine comes with a see-through window to let the user check the amount of water.